Happy Tuesday and welcome to the Zoya Innocence Spring 2019 Collection! The Zoya Innocence Spring 2019 Collection includes six new shades which were inspired by nature and the turn from winter into spring. There are four cremes, one shimmer and one glitter. These polishes swatched beautifully and each shade only needed two coats for complete coverage. Agnes is a soft beige/blush creme. Birch is a light grey/lilac creme. Fern is a cool sage green with golden shimmer. Aire is a deep and dusty periwinkle blue creme. Evette is a bright grape purple creme. Theo is a deep grey with silver and black flakes of glitter and deep blue shimmer. Lovely collection for spring! All of these are nice shades, but I feel like Fern, Aire and Theo are the most unique. Fern is one of those ones you need to see in person to see how it looks in different lighting. And Aire is actually more dusty/muted looking in person. Love it! 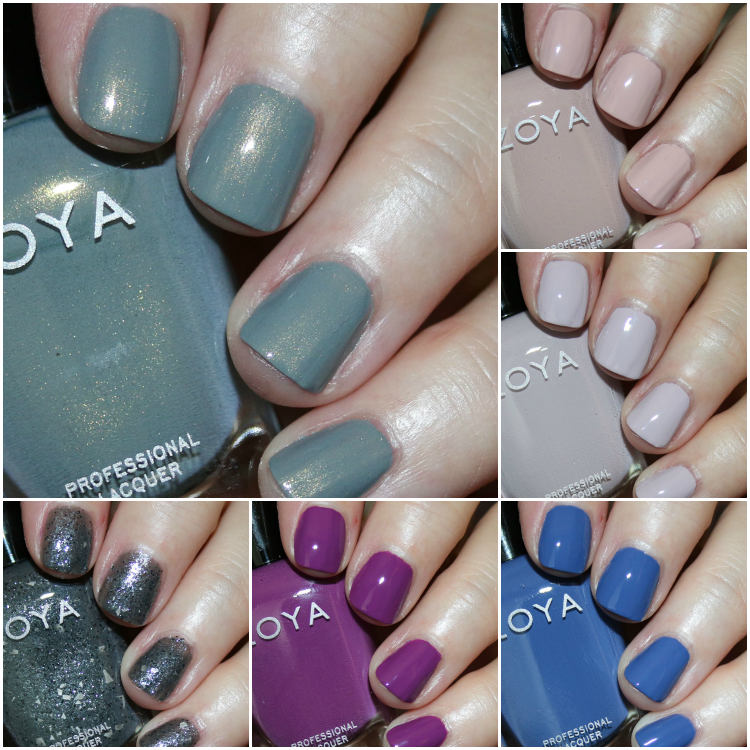 You can find the Zoya Innocence Spring 2019 Collection on their site now and they are $10.00 each. Which ones of these made your “want” list? Fern is stunning! I also really like Aire. Those dusty, muted shades are my favorite. Great swatches! Zoya is the only nail polish brand I buy. Their formula is always excellent. Fern and Aire are my favorites from this collection, although I really like almost all of them. Theo is…weird. I don’t know what Zoya was thinking when they came up with this one; it’s slightly lumpy and the “silver” glitter shards actually look more white to me. Not every shade can be a winner, I guess. Aire is my favorite. 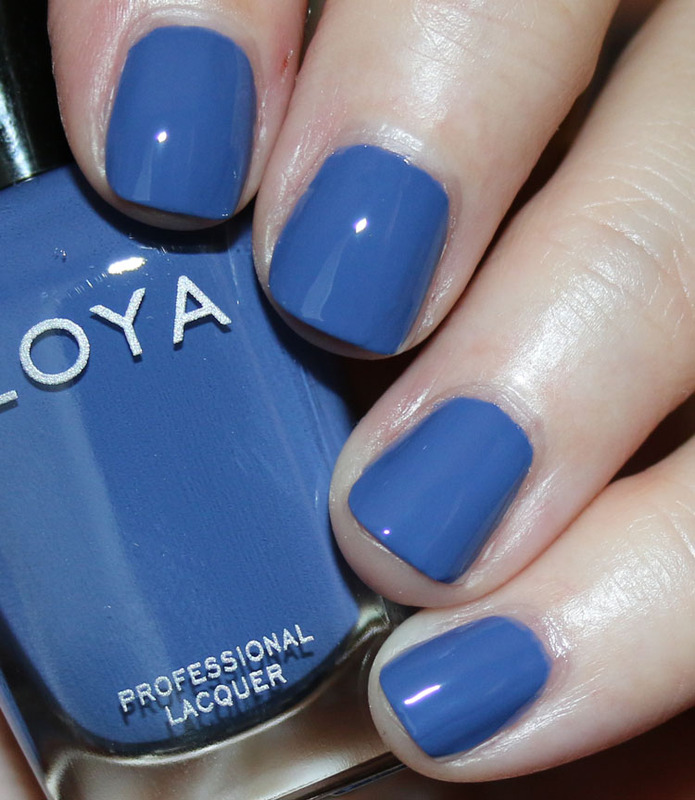 I haven’t ordered from Zoya in a really long time, but if I do, I’d toss Aire in my cart. Agnes & Birch are totally my style!!! I’m with you. Fern, Aire and Theo are interesting to me. Fern probably my favorite. I can’t get down with the beigey ones though. All the pastel cremes give me fits.